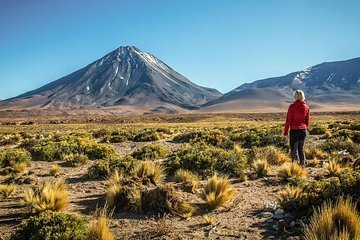 Travel between the dispersed desert sights of San Pedro de Atacama in air-conditioned comfort during a 4-day tour that allows you to explore at a relaxed pace. In a small group limited to 10, you’ll receive personalized attention and benefit from in-depth guide commentary as you visit Los Flamenco National Reserve (Reserva Nacional Los Flamencos), Moon Valley, and other highlights. Plus, all accommodation, transfers, meals, and activities are arranged for a seamless experience.